The attendees at the Barack Obama Democratic Club Debate Watch Party were excited about Hillary Clinton’s embrace of Obama’s legacy, but want more, too. In politics as in life, context matters. If I’d watched last night’s debate from the media filing center, as I did the last one in St. Louis, it might have been hard to avoid the conclusion—which seems pretty much universal among the pundits this morning—that Trump’s refusal to promise to accept the results of the election should have disqualified him right then and there. 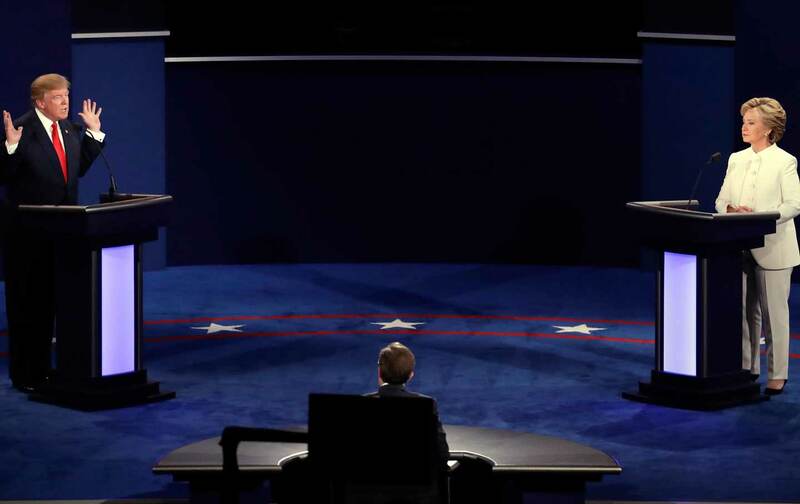 And if I’d watched the debate at home, I probably wouldn’t have missed—as I did—Clinton’s critical fail on abortion, when, instead of pointing out that Roe v. Wade only bars the states from forbidding abortion until a fetus is viable, she allowed Trump to claim “you can take the baby and rip the baby out of the mother.” Though Clinton’s robust defense of choice cheered her supporters, it probably won’t move Catholic voters still troubled by her characterization of abortion as a “health-care decision” off the fence. This was a Hillary crowd, whooping with delight when she said that, instead of confronting the Mexican president over his famous wall, Trump “choked,” and erupting with laughter when, in the middle of a rant about how “we’re getting the drugs, they’re getting the cash,” the Republican nominee sniffed like Al Pacino in Scarface. And while that clearly meant voting for Hillary Clinton, the club was confident enough of its own base to send a bus last weekend to Allentown and Bethlehem, Pennsylvania. “It filled up so quickly we had to leave some people behind,” said Rosa. This weekend club members will be in the Hudson Valley, knocking on doors for Zephyr Teachout. In Harlem, at least, the campaign to keep President Hillary Clinton moving to her left is already well underway. Up in Harlem Trump’s reluctance to play along with moderator Chris Wallace’s earnest civics lesson on “the peaceful transition of power” and the way “the country comes together in part for the good of the country” just seemed like further evidence of the billionaire’s boorish character. But I doubt it played that way in Youngstown—or, for that matter, in Bethlehem and Allentown. Bethlehem, after all, is where Republican donor Sheldon Adelson built his Sands Casino inside the carcass of a former steel mill. People there need no lessons in what a rigged system looks like—or feels like on the receiving end. Trump’s supporters there loved it when, during the first Republican debate in Cleveland, he refused to promise to support the party’s nominee. For them, Trump’s defiance last night only bolstered his credentials as the anti-system candidate—just as Clinton’s smug manner, her seeming inability to engage Trump without condescending to him and his supporters, though practically invisible in Harlem, would have been glaringly obvious in Akron or Ottumwa. If the current polls can be trusted that may not matter. As the Guardian headline on former New York Times editor Jill Abramson’s piece declared this morning, “Hillary Clinton is almost certain to be president.” Let’s hope so. Because if Clinton’s overconfidence—which she hardly bothered to conceal last night—and the media’s evident impatience for her coronation alienate enough voters to lose an election that now looks like a walkover, it won’t be the pundits who pay the price. It will be the people in Ohio, and Pennsylvania—and Sugar Hill.